Mina is a contemporary abstract - expressionism artist working in the UK. 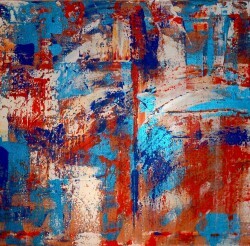 Her painting's tell a story, they are mainly of an abstract emotion translated from within. She often disappears inside her subconscious mind to create her vibrant paintings. Her work has been shown and sold Internationally and Nationally.